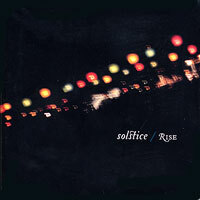 "Rise" follows "Full Circle" as the Bay Area's own all woman World/Folk septet Solstice's second excellent, finely-crafted recording. Winners of the 2007 Harmony Sweeps Bay Area Regional and placing 3rd in the National Finals, the powerful harmonies and wonderful song selection have won this group a special place among our favorites. 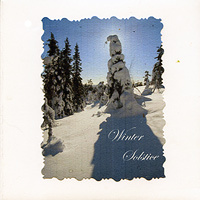 As Solstice's repertoire usually has consisted of strikingly performed World folk tunes like Sari Kaasinen's "Kappee," Japanese children's song Hotaru Koi" (Ho, Firefly), "Three movements from Finno-Ugric Landscapes" and Bela Bartok's "Legenycsufolo" (Boys' Teasing Song) included here, we see a whole new side of the group with the inclusion of Claude Debussy's "Dieu! Qu'il la fait bon regarder!," the Aretha Franklin hit "Chain of Fools," Paul Simon's early S&G hit "Hazy Shade of Winter," the Bluegrass song "West Virginia My Home," Edith Piaf's signature tune "La Vie en Rose" and Palestrina's "Tenebrae Factae Sunt" (Darkness Fell Over the Earth." One of our favorite songs from the group's 2007 live performances, Joni Mitchell's melancholy "Blue," completes a beautiful, surprising collection from spirited, talented Solstice. Veteran all-women septet, and one of our favorite World/Folk groups, we watched Solstice do the Bay Area proud by winning the Regional and placing 3rd in the 2007 National Finals. Urged by their friends and families to release a Holiday CD, the group finally and happily fulfilled this longtime dream, and Becca, Emily, Kim, Krista, Lark, Mari & Sara did it wonderfully! Choosing little-known, difficult classical tunes like Cortland Bender's lovely "Rosa Mystica," Francisco Guerrero's "A Un Nino Llorando Al Hielo" and Thomas Weelkes' "To Shorten Winter's Sadness," from the 15th and 16th centuries; beautifully arranged traditional carols like Bernard de la Monnoye's "Patapan," "Deck the Hall," and Franz Gruber's "Silent Night;" and popular Christmas songs like Vince Guaraldi's "Christmas Time is Here," Tommie Connor's "I Saw Mommy Kissing Santa Claus" and Alfred Burt's "Caroling, Caroling;" along with the rich traditional Hebrew song "S'Vivon" and other favorites, make "Winter Solstice" a very special 15-cut collection that is sure to brighten your holiday for years to come!